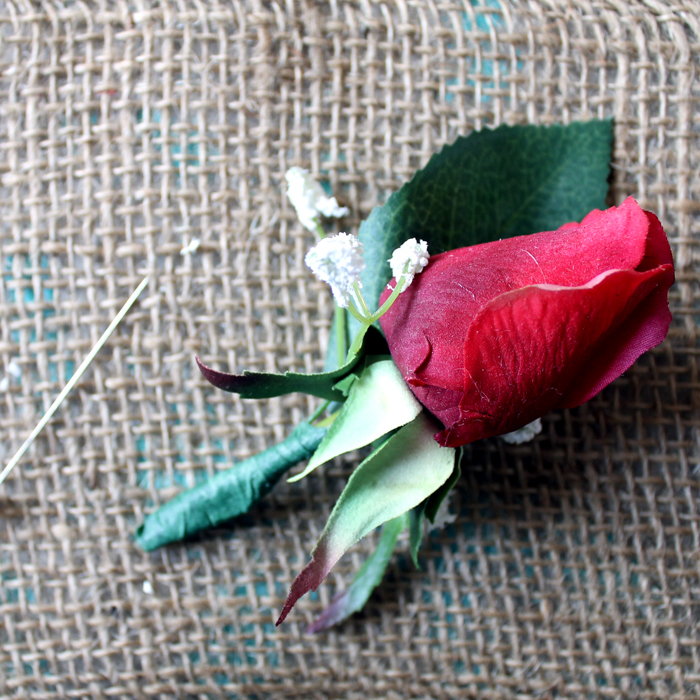 Sometimes I have to look up simple things like how to make a boutonniere. That search made me realize I should just take pictures of the process and show y’all how I ended up making boutonnieres for my daughter’s wedding. These are very simple and will save you from spending the money on pre-made versions. 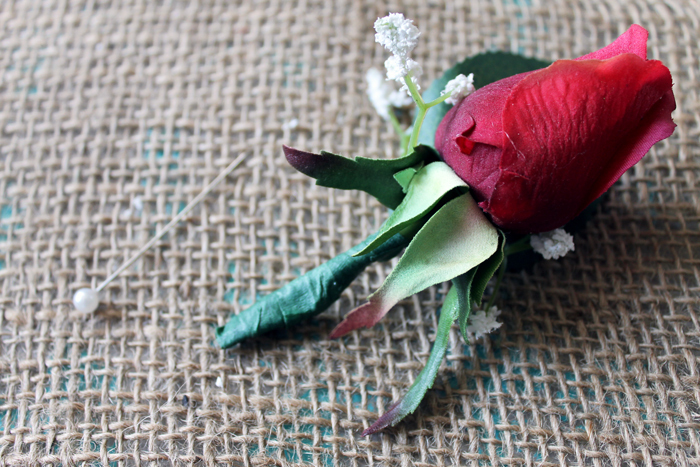 Grab a few flowers and make your own boutonnieres — trust me — it is so easy! Start by trimming everything to the same length. 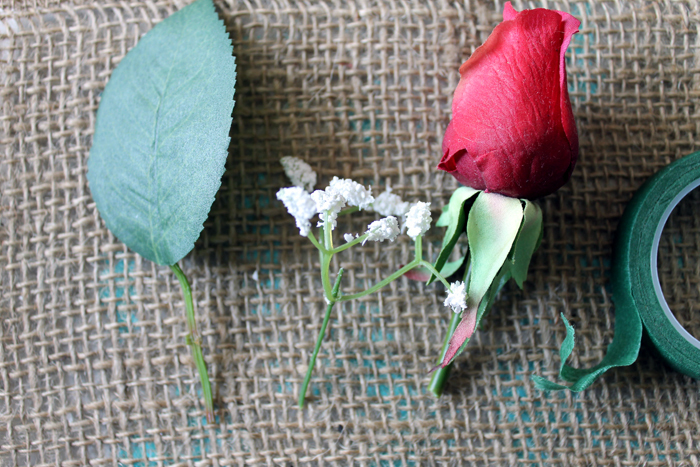 We used a leaf from the artificial rosebud, a little bit of artificial baby’s breath, and the rosebud itself. Choose flowers that will match the wedding theme and the bouquets you have made or purchased. 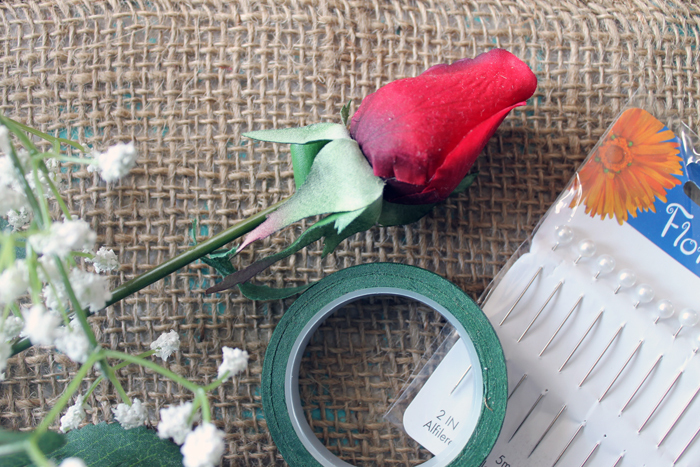 Layer the pieces together and hold the stems as you wrap with floral tape. Remember as you stretch floral tape it becomes sticky. So pull slightly as you wrap. Wrap the stems completely to get a finished look. That is it! 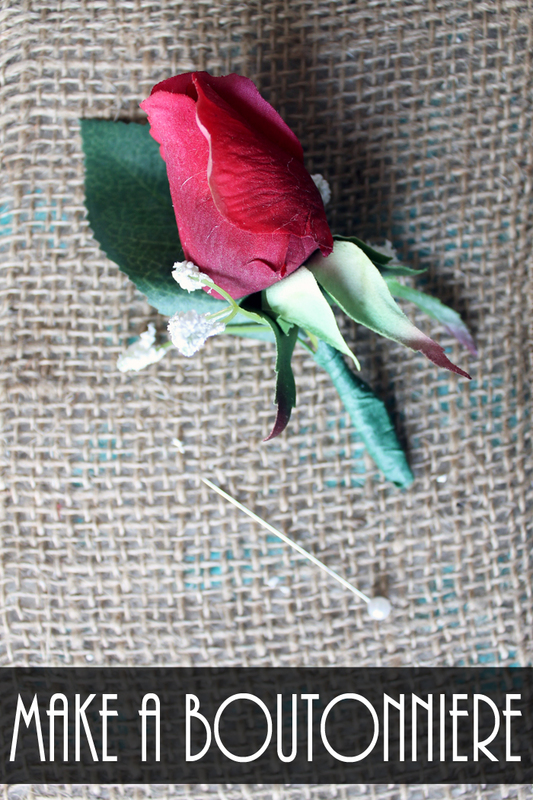 Your boutonniere is complete and ready for any wedding, prom, or other event. This simple project can be completed with any flowers that match your event. Use the floral pins to put on the groomsmen before your ceremony. Stay tuned as we have a few more wedding posts to go. 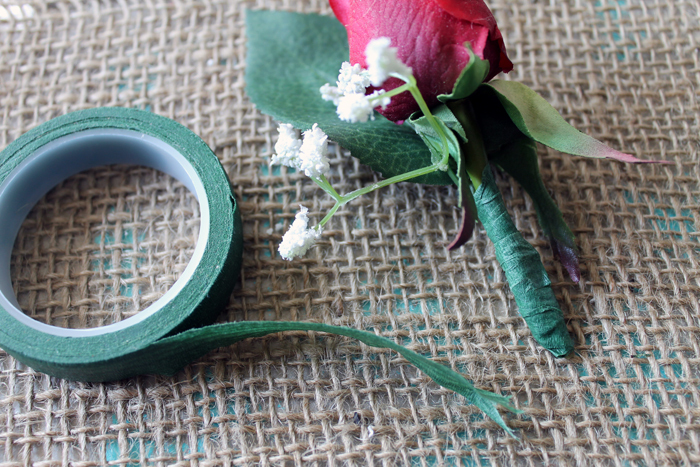 In the meantime, use these instructions for how to make a boutonniere to save some money for your DIY wedding! Y’all enjoy and stay tuned for even more ideas!